Approximately a month and some weeks ago, the infinix hot S3 was unveiled and launched in India, while places like Nigeria had to wait this long for theirs to come. But thank heavens, the now popular infinix hot S3 has been been officially unveiled and available for pre-order in Nigeria. This device was launched on Thursday, the 22nd day of March 2018, and pre-order starts from that same day, and runs till Tuesday, the 27th day of March 2018, which is strictly exclusive only to Slot shopping outlets nationwide, while the device itself will be sold for 62,000 naira, when it is finally out for sale. To see in details, all you need to know about the Infinix Hot S3, you can read our hands-on review, plus first impression article with the device here..
And for those who care to know more, here is the specifications pour down of the latest Infinix smart phone. 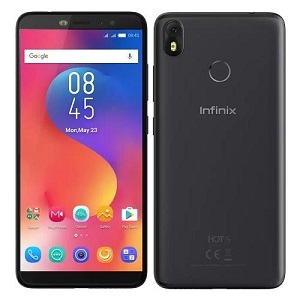 So guys, that is all there is for the Infinix Hot S3, let us know your thoughts concerning this device in relationship to the price, and also tell us if there's any aspect we left out.. Please Share too.